After decades of dominance, the taxi industry was ripe for competition, especially from firms who understood the power of the smart phone and the appeal of self-employment. I completely get why so much has been written about the likes of Uber and Lyft. Lyft is using transit as a way to sell itself to cities. But…I remain skeptical that ride hailing represents a fundamental shift in how we get around. I don’t see how it will reduce traffic, I doubt it will reduce car ownership rates (except maybe in a few select cities) and I don’t get how it will remain affordable given the expense of owning and maintaining a car for ride hailing drivers. I suspect many people will use ride-hailing firms the same way my friends and I used taxis when I lived in NYC in the early ’90s — as a backup to the subway or as a treat on the when we had a few extra dollars. My skepticism aside, I like ride hailing. One reason: Lyft says its most popular drop-off spots are transit stops*. Getting people to and from transit stops remains a big challenge and if ride hailing helps, then great. I also think that the best way to make a city more livable is to increase the transportation options. If ride-hailing does that, also great. *It’s politically smart for ride-hailing firms to position themselves as friends of transit. Why? These firms often need permission from city officials to operate. If the firms sell themselves as alternatives to transit or say they want to steal riders from transit, then city officials may be leery of a business hoping/planning to steal customers from shiny new transit projects. I’m surprised that a phrase as clunky as “induced demand” has made its way into the public discourse. But there’s no denying it’s out there and media of all types — new and old — are increasingly questioning whether building new roads or adding lanes to existing ones leads to more traffic. I think this will remain a prevalent storyline. Two reasons: the pressure to lower emissions because of climate change and the stagnation of transportation funding (although money for transit and road projects often comes from different pools of money so it’s not always an either/or proposition between roads and transit). If there’s less money to go around, there will inevitably be more questions asked about how best to use the dollars that exist. As with many things in life, there are some gray areas here. I personally believe that “induced demand” is not an excuse to ignore roads. Some road projects are intended to improve bottlenecks that may be unsafe or lead to more congestion and air pollution. And this needs to be said: while induced demand may be a popular topic among new/old media that intensively covers transportation, it may be a topic that means little or nothing across the nation at large; the latest Census numbers show about 86 percent of Americans commute to work by car. Every worthwhile movement has to start somewhere, thus the reason refreshing to hear local officials talking about eliminating pedestrian deaths. Sad as it may sound, I think for a long time pedestrian deaths in much of the U.S. were accepted as the cost of doing business, i.e. allowing cars to rule the road and anything within spitting distance of the road. What bothers me: I don’t see the police anywhere I’ve visited in the U.S. having the time, resources or even the will to crack down on motorists who endanger pedestrians. Nor do I know of any motorists scared about getting a ticket for doing so. I spend a lot of time walking my dog and I feel like legally crossing any major street often qualifies as a Major Adventure. Protecting pedestrians will require some big-time investments in signage, lights and things of that ilk. But think about the thousands of intersections pedestrians must navigate. Only some will get new infrastructure. And the rest? My hunch is the best way to protect pedestrians is to make motorists fear getting a ticket for endangering a pedestrian in the same way they fear getting a DUI. From the Dept. of Disclosure: the last traffic citation I received — I think in 2009 — was for making an illegal right turn on red. As for the self-driving cars, I now think it’s inevitable that they’ll come to pass in a big-time way. As many media reports have noted, features of self-driving cars will increasingly be found on cars at your local dealership. If those features were on my car — such as automatic braking to avoid collisions — I’d probably be grateful. And there’s this: I haven’t see anything on our local roads or in the daily carnage tally at Streetsblog in recent times to indicate humans deserve a permanent place behind the wheel. As with ride-hailing firms, I don’t see self-driving cars as improving traffic, although maybe they’ll use fuel a little more efficiently. But it’s hard to deny the appeal of a car that makes getting to your destination safer and is less likely to hit a pedestrian or cyclist, even if that car costs more money. 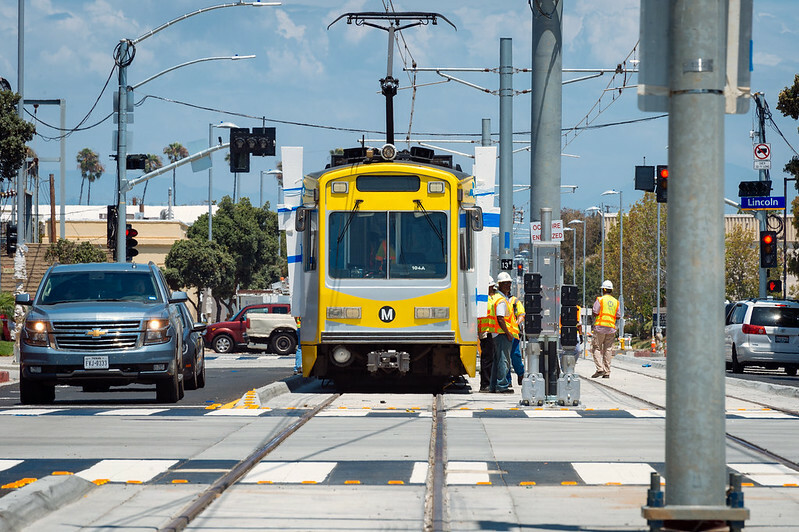 In some ways, 2015 was a transitional year at Metro as a couple of big projects got underway (Purple Line Extension and Regional Connector) and a couple big projects prepared to open in ’16 (Expo and Gold Line extensions to Santa Monica and Azusa, respectively). The project openings, the ongoing update to Metro’s long-range plan (and a potential ballot measure), more construction and more urban infill in our region should make next year a pretty exciting one with lots to discuss, mull and comment about. There’s a lot going on in terms of transit expansion across the nation, not to mention all the interesting things going on bicycle-wise (bike share in DTLA in summer ’16, for example). As we close the curtains on this year, I’d like to thank everyone for reading the Source and for their patronage of Metro. I’m well aware that bumps in the road, so to speak, in the past year and hopefully the coming year will be an improvement. Happy New Year’s to everyone and I’m looking forward to digging back into the usual routine next week. I believe that so-called “ride hailing” (don’t you also hail a taxi?) is a “Trojan Horse” to further eradicate the differences between so-called “self-employment” and real employment–with traditional extras like job protection, medical care and paid time-off, etc. Uber has billions and billions of currently unused capital investment dollars–why? Is there really that much profit potential in providing a taxi-like service–I don’t think so. I believe once the taxi and later the public transit barriers (read METRO) are breached the real money is going to aim at “part-timing” the American Middle Class. The cash savings will then be sent up the feeding chain to the likes of: Elon “Loopyloop” Musk (is that really his name?) and Mark Z’burg. This will also result in choking-off whistle blowers because they will not be left with job protection. In fact this trend is beginning today in traditional government fields (like METRO) where professionals at the “coalface” are hired “at-will” and without civil service protection should they need to blow the whistle on malfeasance. So beware, once we are all at-will and self-employed–the taxi riders, the METRO riders and others who use our public services will find themselves left off the “cloud” that is engulfing the middle class dream. Ride-share adds another option for people to get around and it provides that service for a price without the need of taxpayer subsidies. Does it cost more than Metro? Yes. But at least you know it’ll show up within 10 minutes, you don’t have to worry about deciphering transit routes or transfer locations, and it operates 24 hours a day 7 days a week, 365 days a year. Pedestrian safety must become a priority not just in Los Angeles, but throughout our great nation. One thing L.A. can do to promote safer crosswalks (and in turn make the sidewalks more inviting for pedestrians) is to significantly decrease the number of jaywalking tickets, if not eliminate them altogether. When I visit the “City of Angels” in 2016 (tentatively in mid-May, hopefully by then Expo Line Phase 2 to Santa Monica will be in operation), I’ll experience firsthand how often LAPD hands out jaywalking citations to Angelenos compared to enforcing the “rules of the road” to drivers (speeding, running red lights, running through stop signs, and so on). With that, Happy Holidays and Best Wishes for METRO in 2016. 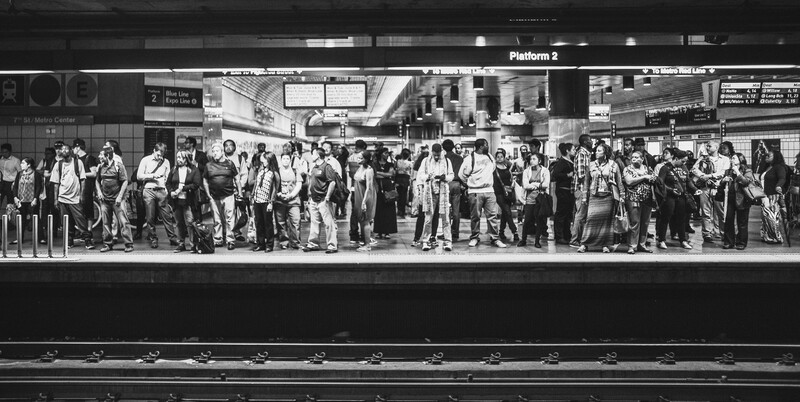 Self-driving cars could have a profound impact on transit. Think about people past a safe driving age. Right now transit serves a lot of these people. That said fully autonomous self-driving cars are still years away from being something that the average person could buy. The other profound impact would be in self-driving buses and trains. These could save Metro a ton of money, but would also lead to a lot of job loses.